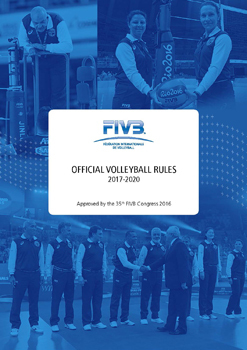 After certifying 12 volleyball coaches as FIVB (Fédération Internationale de Volleyball) Level 1 Coaches in March 2017, the Cayman Islands Volleyball Federation (CIVF) recently sanctioned 3 coaches to attend a Level 2 FIVB International Coaches course in the Dominican Republic from June 4-8, 2018. Shameel Javid Ali, Mark Ray and Kevin Solomon attended the course at the Centro Regional Desarrollo Voleibol NORCECA/FIVB in Santo Domingo, where 32 participants, primarily from the Dominican Republic, participated in 5 days of theory and practice, all delivered in Spanish. The Cayman delegation, along with 2 other participants from St. Maarten, had the services of a translator for the duration of the course. The course also saw participants attending from Cuba and Puerto Rico. The intense 5-day course introduced coaches to the technical aspects of physical and mental preparation, including work with weights and psychological strategies for team preparedness. At the end of the week, participants were required to undergo a practical skills exam, and a written exam on the theoretical components of the course. 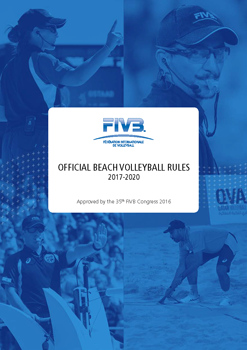 Kevin Solomon, who is also the Technical Director of the CIVF and a beach volleyball coach with the national youth and senior programme, noted that the course was part of the CIVF’s commitment to continue strengthening the technical and developmental aspects of volleyball in the Cayman Islands. CIVF President, Kennedy McGowan remarked that the on-going development of Cayman’s coaches through national and international courses, will help with growing and teaching the sport of volleyball in the right way. The CIVF will be hosting 2 coaches workshops over the summer. A beach coaching clinic is scheduled for July 21st from 9 am to 12 noon at the Public Beach in West Bay; and an indoor coaching clinic on July 7th from 9 am to 5 pm at the First Baptist Church Gym. NATWEST Island Games Beach Volleyball 2015, Gold Medalist - Stefania & Jessica team up with youngsters Chante & Ileann. The teams also pulled out all the stops January 29-31, 2016 at the FIVB Beach Volleyball Qualifiers in Ocho Rios, Jamaica. Follow them on CIVF facebook as they continue to make Cayman proud! The Cayman Islands Volleyball Federation (CIVF) were proud to host the CIVF National Volleyball League 2015. More pics in our Photo Gallery!